5. 'Are you trying to seduce me, Mrs Robinson?' 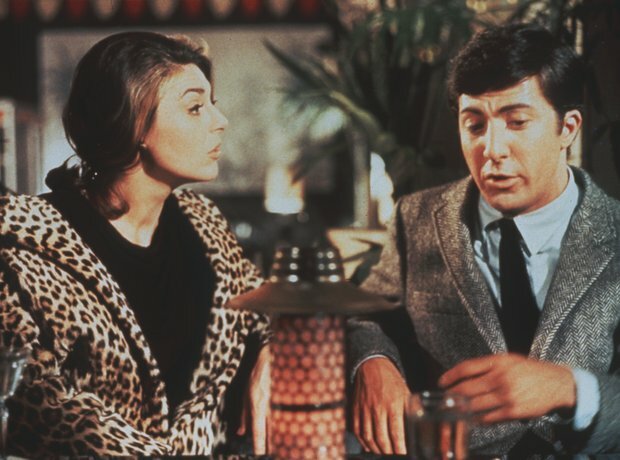 is the immortal line in The Graduate, one of the highest grossing films of all times, starring Dustin Hoffman in his breakthrough role opposite Anne Bancroft. The soundtrack includes some of the most beautiful Simon & Garfunkel songs, including Mrs Robinson and April Come She Will.